When Enfold Server is installed for the first time, a Plone site will be or created within the root level of the Zope Management Interface (ZMI). Afterwards, Enfold Proxy (EP) is used to map the Plone applications to the domain or host you are using. (This process is called proxying and you accomplish that by adding a proxy definition ). Enfold Server. Open Enfold Server Configuration Utility. (Start --> All Programs --> Enfold Server --> Enfold Server Configuration Utility). Expand the settings for the Zope client you are using (if more than one). Click on Ports in Use. 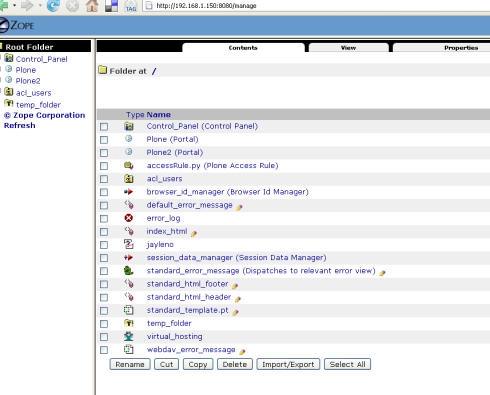 Note the number corresponding to the Management Port (default is 8080) and be sure it is enabled. Note: If you go to the URL for this site, it will look like a generic Plone site (and not include the customized bundle of Enfold products). When you first install Enfold Server, the default Plone instance will include these customizations. 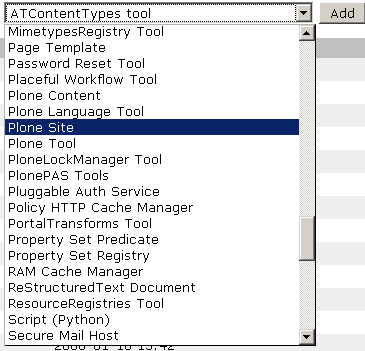 Plone sites which are created later will not include these products unless you manually add them. You can easily add these Enfold-specific products by going to the Plone Control Panel -- usually http://localhost:8080/Plone2/prefs_install_products_form (or the equivalent URL for your site). The Enfold-branded customizations appear as products on the Plone install menu. You can add/install them manually. Products included in Enfold Server 3 which are developed/maintained by Enfold include: CMFPropertySets, Chasseur, EnfoldErrorReporting, EnfoldTheme, FileTemplate, ShellExServer, Plasma. Enfold Server 3 also contains open source products: CMFPropertySets, CMFSquidTool, Calendaring, Marshall, TextIndexNG2, PloneErrorReporting, PloneLanguageTool, PloneLockManager. Enfold Server 4 is expected to have a similar (if not identical) bundle of products.